“Most cards are designed for people who are organised. Here’s one for the rest of us. True freedom means never having to worry about where your card is again," ME money expert Matthew Read says. Snapchat took shots at Facebook, introducing a new filter making light of the Russian bots scandal. The filter included Facebook's interface, as well as a script-like text touting likes from 'your mum' and 'a bot', according to The Verge. The company was said to have been taking a dig at the recent news surrounding bots with links to the Russian government appearing on the platform. Amazon's Alexa opted for a different style this year, offering up her own personalised pranks to owners of the smart technology. Ask Alexa when April Fools’ Day is, and she might have told you that it’s been cancelled this year due to poor attendance. If you were brave enough to be asked to be pranked, Alexa went ahead order you 67 large pizzas from Domino's, cancelled Easter due to a world-wide chocolate shortage, or switch her operating language to French. 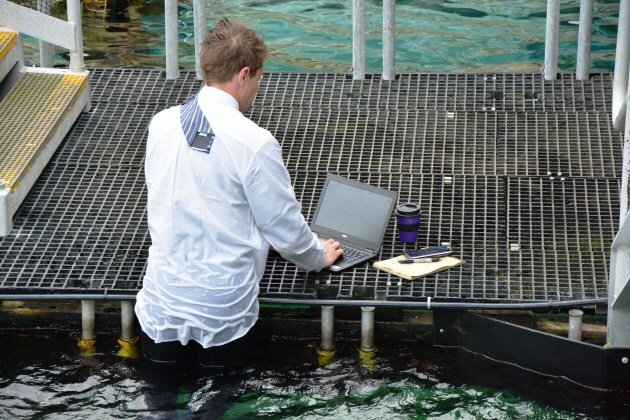 In an Australian-first, Sea Life Sydney Aquarium is now providing staff with water desks. Staff were told they would have to bid farewell to their traditional desks and instead don a wetsuit and work from the aquarium's feature takes. The company stated the initiative was implemented in a bid to diversify work arrangements and increase productivity. Staff looking to engage with the company's new swimming desk operations must first pass a comprehensive swimming assessment. "It’s time to bid farewell to standing desks. Humans have a natural affinity to water as it provides a sense of calm and clarity – two sentiments that are vital to productivity and worker satisfaction," Sea Life Sydney GM Richard Dilly says. The iconic wax museum revealed its latest exhibit in Sydney, 50 Shades of Wax. The risqué, adults-only room gives visitors an insight into what the famous wax figures look like without their clothes on. The world-famous attraction will switch the figures each week to ensure guests have ample opportunities to see their favourite celebrities in all their glory. “We lose count of how many people ask us if the wax figures are made to scale and if all the measurements were correct," Madame Tussauds Sydney studios and operations manager Dan Porter. “We thought it was time to remove the mystery by showcasing exactly what the celebrities look like for our inquisitive guests." To prepare humanity for the impending robot uprising of 2022, Courses.com.au will now offer a new diploma on Human Survival. According to its course description it, "aims to prepare our young ones for our likely dystopian future. Arming them with the most basic skills for survival in the post-apocalyptic wasteland is our only course of action to ensure survival... for now." SodaStream has introduced its new way of enjoying sparkling water, by introducing the SodaSoak. The SodaSoak is a sparkling water maker for the bathtub, giving customers sparkling bubbles, dazzling bubbles or OHMYGOSH bubbles you can bathe in. Partnering once again with Game of Thrones actor and professional strongman Hafþór Júlíus "Thor" Björnsson, aka The Mountain, SodaStream has also enlisted Israeli reality star Reza Farahan to launch the SodaSoak. “SodaStream is always looking for disruptive ways to create moments of joy and April Fools’ Day is the perfect time to do so," SodaStream CEO Daniel Birnbaum says. “The thing about SodaStream’s campaigns is that they address important themes - health and wellness or the global plastic bottle pollution problem - in a lighthearted and funny way that keeps a finger on the pulse of pop culture," Björnsson added. Foodora is now tapping into the growing market of ready-to-eat meals, introducing its own line, fusionblends. The new product line was launched with five unique flavours built around the key eating periods for today's millennial market. Brunch - avocado toast with warm cinnamon buns and coated with a foamy cappuccino. Game Night - a classic cheeseburger with a serving of saucy, bbq baby back ribs topped with hot chicken wings. Date Night - hearty cannelloni with few slices of warm baguette topped with cherry cheesecake. Break Up - chocolate cake, mixed in with a few scoops of ice cream and cookies. Binge Out - avocado toast mixed with a classic cheeseburger, topped with chocolate cake and extra chocolate drizzle. Loan Market mortgage brokers also looked to assist the struggling millennial market, releasing its latest financial tool, Loan Mates. The app, which uses a distinct algorithm, has been designed to identify and pair off Australians who cannot afford a loan on their own. By simply downloading the app and entering a few key details, Loan Markets' broker team will match loan seekers all over Australia, allowing everyone to get the loan they need. Identifying a gap in the canine market, Lifestyle Condoms has launched a new line, condoms for dogs. The campaign is targeting dog owners who know that their pet can be a little careless around the neighbourhood. The new condoms have been designed with the understanding that "dogs have sexual needs, the same way humans do." Lifestyles for Dogs are now available in packs of 12. AR/VR tech company isobar avoided man's best friend. Instead, the company, in partnership with Zoos Victoria and the RSPCA, released Cat VR. The new technology has been designed to keep Cats indoors and subsequently lower the amount of Australian bird deaths caused by household cats, which currently sits at 377 million dead birds a year. Via a miniature headset, Cat VR gives cats the chance to run around fish markets, play with giant yarn balls, hang out in a world made of cardboard boxes and chase laser pointers – all in the comfort of their own home. Ray White has revealed that Sydney's first underwater property has been sold, as competition in the city's real estate market sinks to new lows. The new property initiative comes off the back of a consistently difficult buyers market in Sydney. “Everyone knows property prices have skyrocketed in recent years, especially in Sydney, but now that the local waterways are cleaner than ever before it has paved the way for developers looking to invest in the underwater market," Ray White Sydney Blue CEO Jason Andrew says. The company is now calling on councils in other capital cities, such as Brisbane and Melbourne, to clean up waterways and create new developments for buyers. Keeping with the theme of property, Contiki announced it would be selling off its famous Chateau de Cruix in France’s Beaujolais wine region. The sprawling 16th century mansion has been visited by travellers since 1977 and features 25 bedrooms, five bathrooms, a secret party cave, hectares of land overlooking wineries and a large outdoor pool. “Today we announce the sale of our French Chateau, Chateau de Cruix. 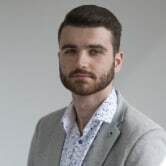 It is not a decision we have taken lightly and can understand how anyone who has stayed at the property will feel hearing this," Contiki Europe operations MD Tim Lewis says. The property is currently accepting offers. Sportsbet spilled the beans, stating it did not in fact laser the company's name into the iconic Great Barrier Reef. Responding to the outcry, the betting company revealed this was no more than a harmless April Fool's joke, aimed to raise funds for the Great Barrier Reef Foundation. “We wanted to raise awareness towards a good cause this April Fool’s Day and the decline of the Great Barrier Reef is an issue every Australian is concerned about,’’ Sportsbet communications manager Will Byrne says. Following suit with Sportsbet, Skittles also revealed its role in another natural April Fool's Day event. The company took credit for images that began appearing on social media of an extremely rare, ‘circumzenithal arc’, also known as an upside-down rainbow, or a ‘smile in the sky’. Social media influencers and weather experts played along with the stunt, until it was revealed the meteorological phenomenon was actually a Photoshopped creation mimicking the Skittles logo. Another April Fool's has come and gone, with brands in 2018 capitalising on everything from the Sydney housing crisis to millennial mishaps. Snapchat decided to use the day to 'stick it' to Facebook, while Amazon gave Alexa free range to prank its owners. What do we do with our money while we’re swimming? 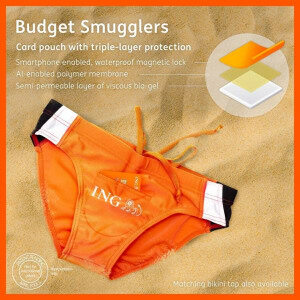 ING Australia has answered the age-old Aussie question with the launch of Budget Smugglers. The bank’s futuristic swimming trunks aim to keep cards safe while in the surf and are being promoted as the very best "coastal companions". 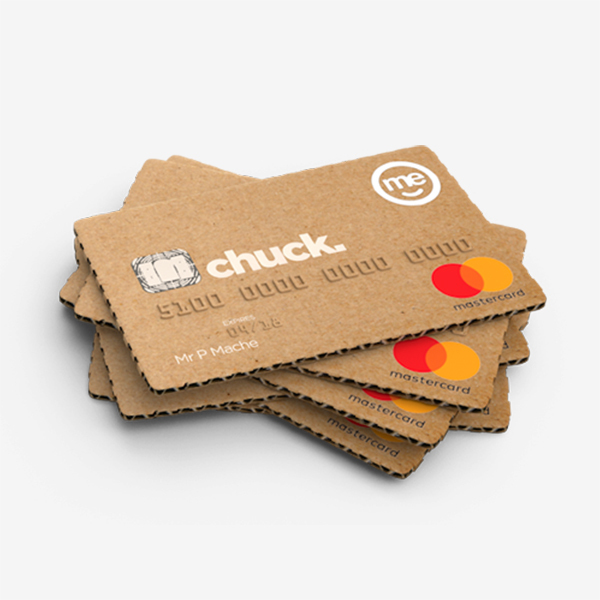 Banking company ME announced the launch of the first, readily disposable, bank card called Chuck. The 100% recyclable debit card was created for those customers who are often too careless with their own, plastic cards. Made available in a sheet of six ready-to-use cards, Chuck is rendered in "unpretentious" cardboard and reinforced with interior corrugation.